Makesbridge is one of the most comprehensive marketing automation solutions for digital marketers. The availability of features like email marketing, cross-channel integration, track online campaigns, social media tracking, and measure SEO/website performance at one single dashboard has made this tool a number-one choice for all marketers. But is it really the best? Here are some reasons why a business will prefer Makesbridge over Silverpop. Makesbridge takes a very creative approach to pricing. It stands alone in the list of marketing automation tools that offers FREE demos to its users. The enterprise version starts with a very small amount of $29/month and you can also unsubscribe from the service at any time of the year. You don’t have to subscribe for a year or sign annual contracts; instead, subscribe on the monthly basis with no upfront costs. In addition, with Makesbridge Pay as You Go program, you can further control your budget and start your account for as low as 99¢/Month. Contrary to this, pricing for Silverpop is much higher than Makesbridge. Silverpop usually charges its customers with 10 percent of their monthly fee (capped at $500/month) for customer support. While Silverpop incorporates only the basic reporting/analytics features, but is missing features like full campaign performance reports to summarize results from a high level. Makesbridge does a good job in the email marketing department. It offers a couple of added features that many other providers including Silverpop are not offering. It includes features like a WYSIWYG designer, landing page tool, dynamic content, opt-out management, email templates and much more. While Silverpop also offers gdod but a bit limited email marketing features. Its main features include triggered email sends and delivery tracking. One of the best things about Makesbridge is that they have extremely responsive and knowledgeable service team. 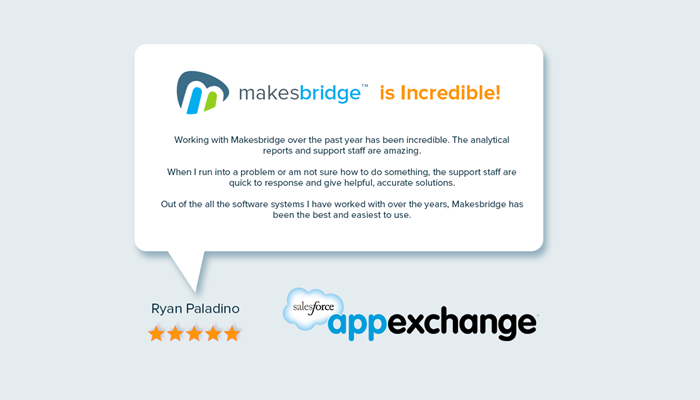 Makesbridge also holds the distinction of having the highest reviews in customer service on the Salesforce app exchange. Check a client testimonial below. The best thing (from a user’s perspective) in any software program is its ease of use. This is a matter of opinion, but in our tests, reviews, and market feedback, Makesbridge is much easier to use as compared to Silverpop. It has been given 5 star rating for ease of use, customer service, and user-friendly interface. Freedom offers is a bundle of deals that you get at Makesbridge. If you want to use our platform with some other app/platform, we offer you to pay on your behalf. For example, we’ll pay for 1 LinkedIn premium account subscription for the customer who subscribes to MKS enterprise package. This $48/month discount helps customers enjoy LinkedIn premium account and use LinkedIn contacts in drip campaigns. You can check out Makesbridge Freedom offers here. However, we don’t find such a vast range of deals at Silverpop. Product training and support is an essential element achieving your immediate objective, but much more importantly, the ones you don’t even know about yet! If you don’t know how to run a given software/platform; the success rate goes down tremendously. And, you want a free ongoing relationship with your provider to find out how to expand your operation. 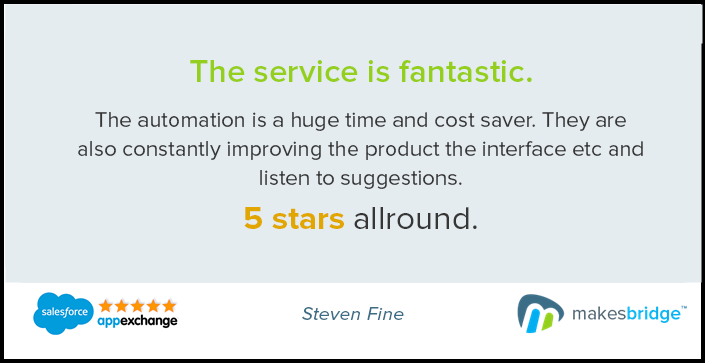 To help customers expand and become better at using their platform, Makesbridge freely offers needs reviews. And for qualified customers a business strategist holds workshops to facilitate consensus and goal setting across key stakeholders. However, not all marketing automation companies (including Silverpop and HubSpot) offer such free training facility. Silverpop and Silverpop’s logo are registered trademark of IBM. 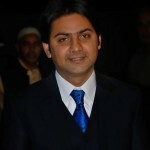 Information provided in this article was verifiable at the time of publication. In case you find any factual error in this article, please let us know by sending email tosupport@makesbridge.com. You can also reach Makesbridge at Twitter and Facebook.